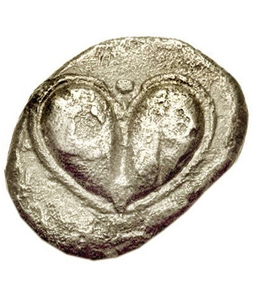 The heart is one of the world's most recognized symbols. 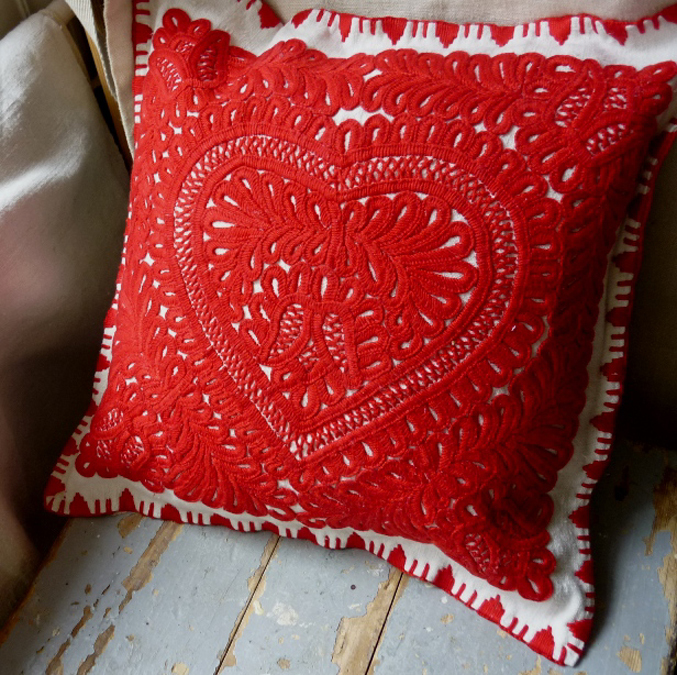 My favorite heart-shaped Valentine's Day gifts are handcrafted by consciously aware artists (or you can make them yourself!). Why let the generic, mass-market Hallmark holiday get you down? 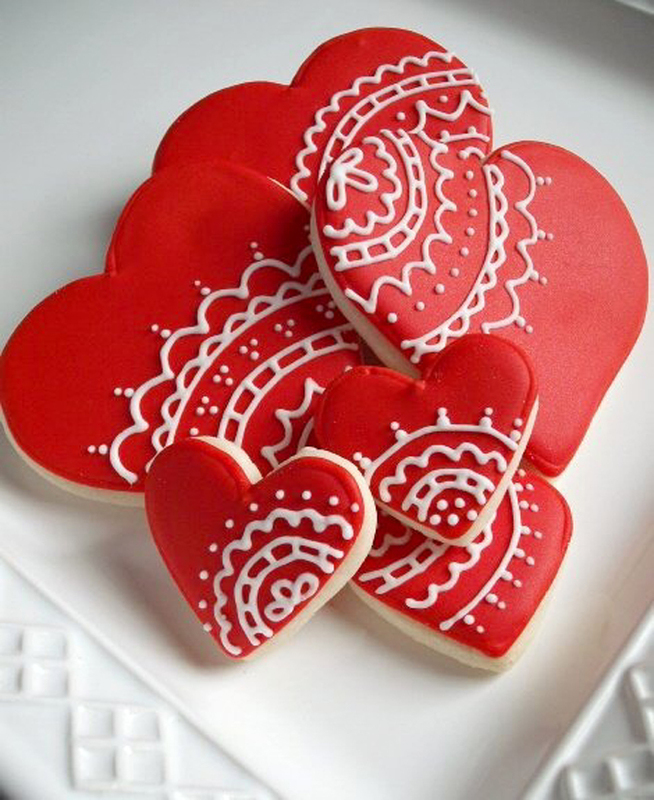 Valentine's Day is about more than commercialized concepts of romantic love. It's a day to celebrate the universal love that makes the world go 'round -- and what better way than with heart-inspired gifts that benefit artisans and art historians and celebrate diversity? Most of the gifts I've chosen to mark this day of love are purchased directly from the people who created them. Others are vintage or antique, which supports art historians who match-make artisan treasures with stewards who appreciate them. I hope these gifts inspire you and others to love, just love. 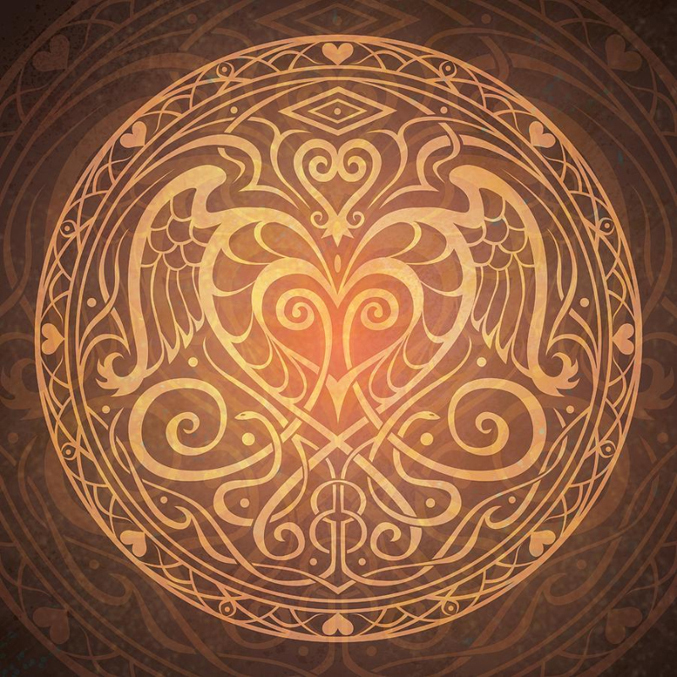 CHRISTINA McALLISTER Heart of Wisdom Message Mandala ♥ This message mandala is an intricate visual meditation featuring imagery from many parts of the world and personal symbols from the artist’s life journey. 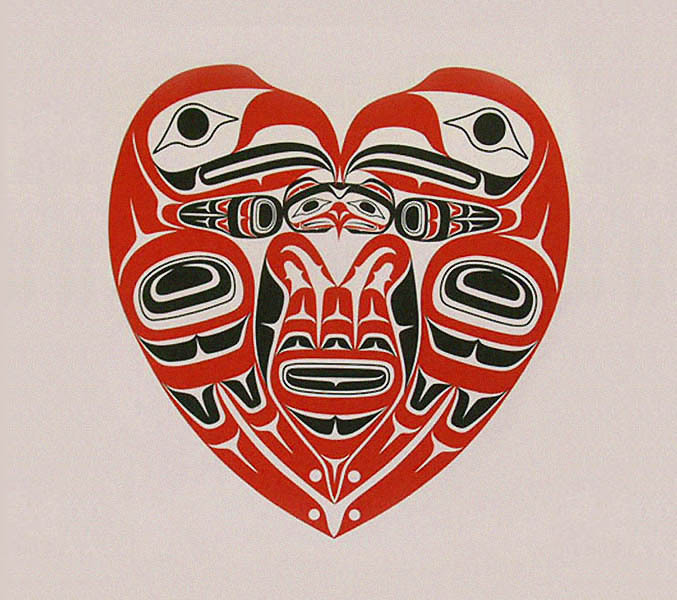 WAYNE EDENSHAW Haïda “Eagle's Heart” Limited Edition Print ♥ The eagle is an important symbol of Wayne Edenshaw Haida’s Pacific Northwest Coast heritage, representing strength, peace, focus and leadership. Eagles’ wings are about the harmonious balance between a man and a woman, and how both parties work equally to achieve and maintain that balance. 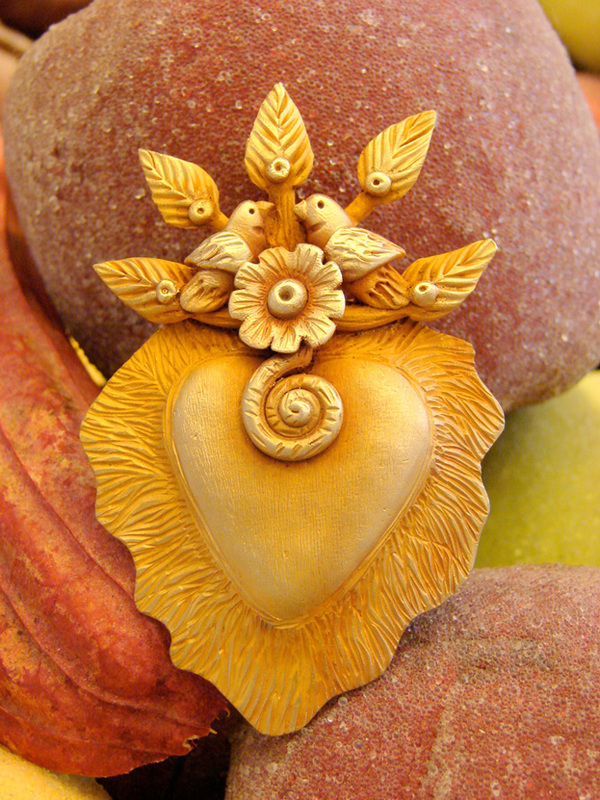 LORENA ANGULO Tree of Life Sacred Heart ♥ Mexican artist Lorena Angulo sculpted this sacred heart out of “Bronzclay” with her bare hands, a simple carving tool, and a needle. She also works with pure silver and copper. 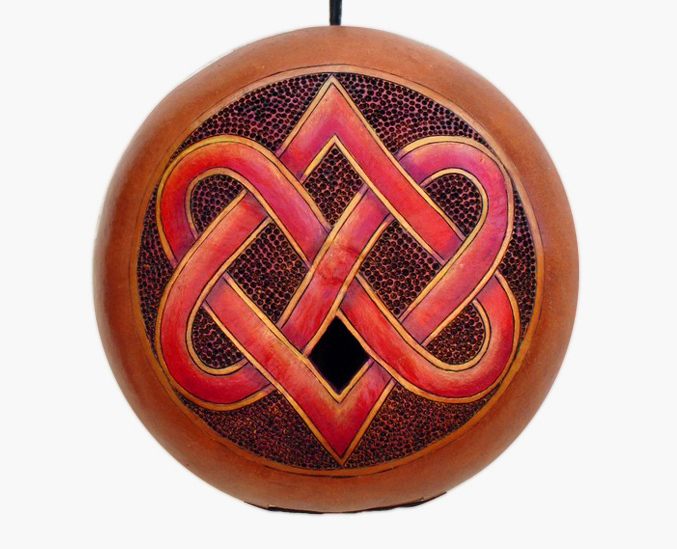 CYNDEE NEWICK Handcrafted Celtic Heart Love Knot Gourd Birdhouse ♥ Hand carved from an organic gourd, this adorable and durable birdhouse has a trap door for easy clean-out, and you can select the size of entry hole based on what type of bird you want to attract. 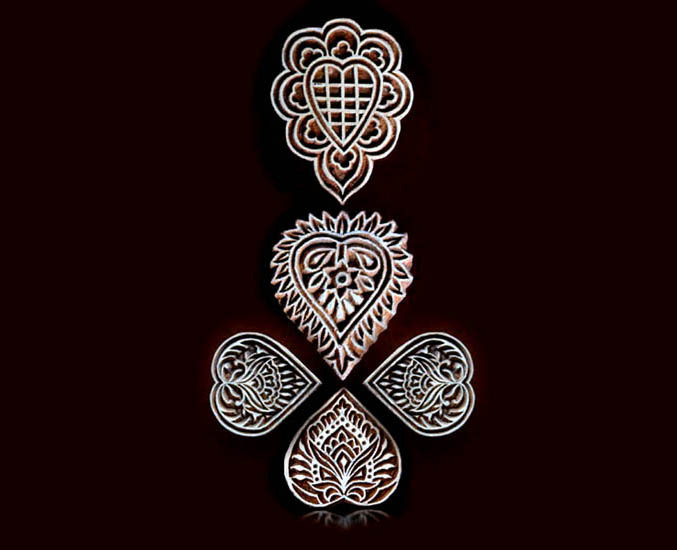 The double Celtic heart design is an “Eternity Knot” which is a knot with no beginning and no end. It is also a “Lover’s Knot”, which is a knot linking two separate paths. TOM BANWELL Sweet Hearts Mask in Red Leather Valentine ♥ Steampunk meets Alice in Wonderland in this handcrafted half mask made from lightweight vegetable-tanned leather. 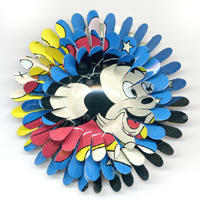 You can wear this wearable art comfortably for hours. 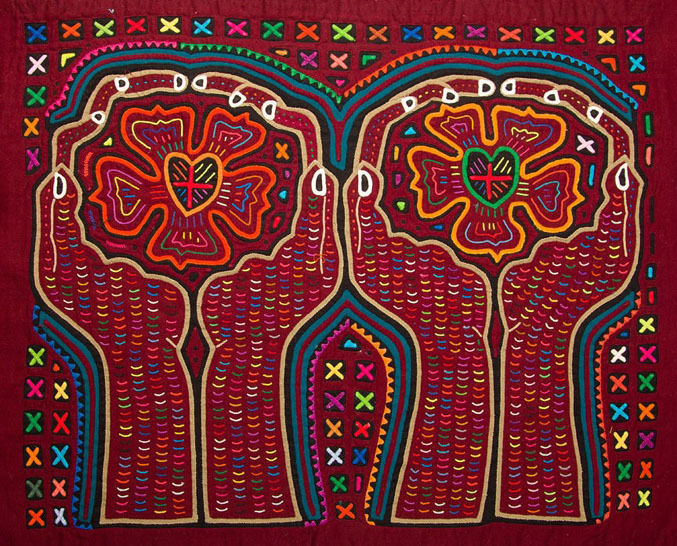 CROSS ROAD TRADE Fine Handcrafted Sacred Heart Kuna Mola ♥ This remarkable ‘Sacre Coeur’ mola is made by women in Panama’s San Blas islands. If it’s gone by the time you visit the site, a companion panel by the same artist is available. 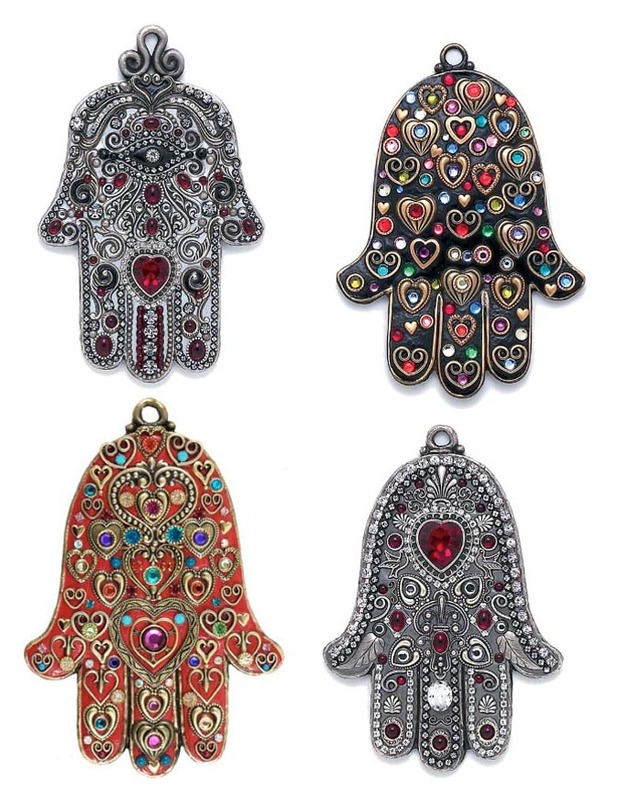 MICHAL GOLAN Many Hearts and Third Eye Wall Hamsas ♥ Israeli born jewelry designer Michal Golan’s lavish, crystal-encrusted wall Hamsas are inspired by ornate Victorian jewelry and Middle Eastern art. 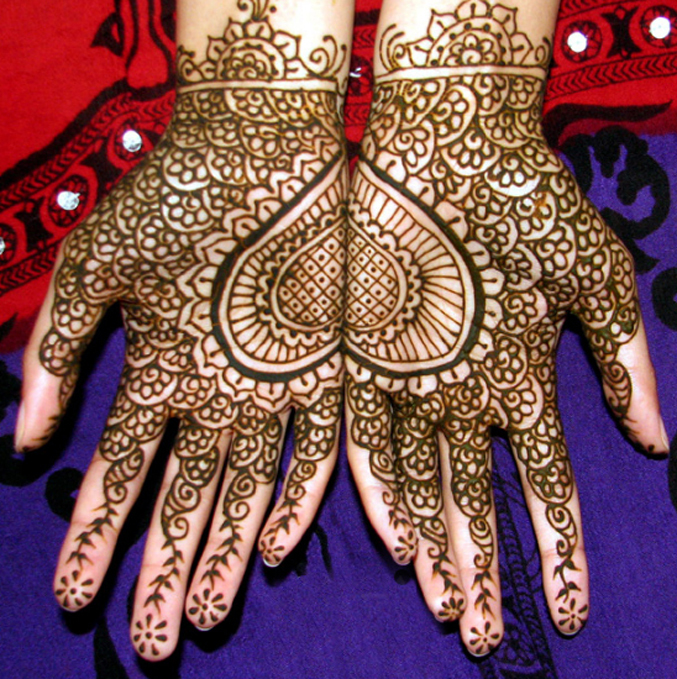 The Hamsa is an ancient symbol denoting enlightenment and good luck. 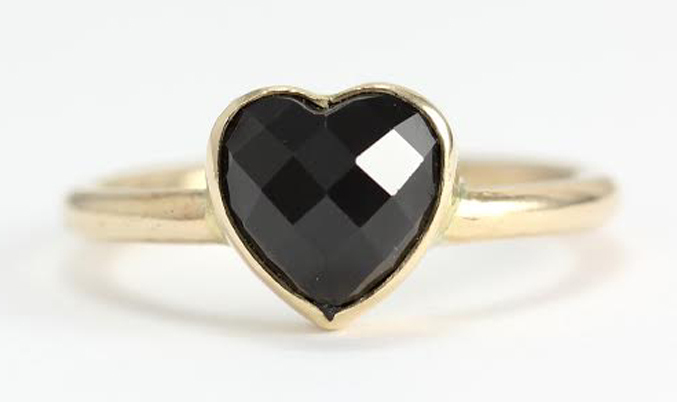 SAOLA Midnight Heart Spinel Ring ♥ Elegant and understated, this 100 percent recycled 14-karat yellow gold and ethically sourced heart- shape spinel rose-cut gemstone ring was hand fabricated by artist Alysha Bushey. Polished to a high shine—soft, yet intense. DEBORAH KEMBALL Heart's Desire Quilt ♥ This amazing quilt by master quilt-maker Deborah Kembal's has won major awards in Canada, the US and Europe since its completion in 2009. The quilt is made from 100% cotton fabrics with a 100% wool batting. The background fabric is a cotton chintz from the Netherlands which has a pattern of its own going on in the chintz which gives an interesting depth to the quilt. 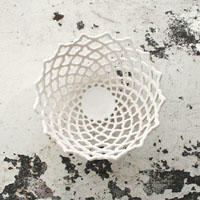 Kemball is very inspired by the textiles of the 17th and 18th centuries in Europe and India. She also loves to use red as a background, “it functions very much as a neutral,” she says. This quilt is not for sale. However, Kemball's wonderful quilting book, Beautiful Botanicals, makes a great gift for anyone interested in fine quilt-making and plants and has some easy projects which would make for gifts for Valentine's Day. 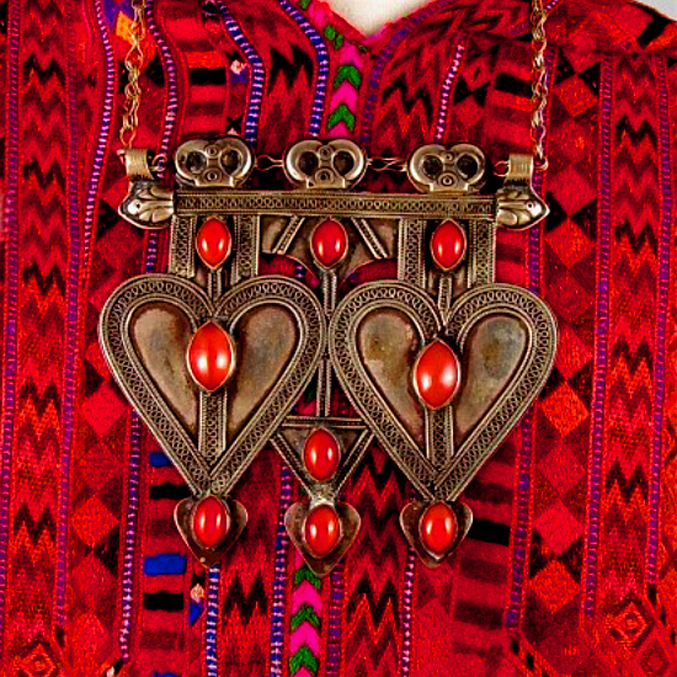 This large silver pendant, an antique tribal artifact from 1880's Afghanistan, was made using highly prized red carnelian stones. 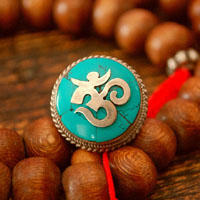 The “asyk” symbol we recognize as the heart symbolizes abundance, good luck and womanhood. CHARAN CREATIONS Hand Carved Indian Wood Textile Stamp Block Hearts ♥ Made by an Indian family that has been in the textile trade for more than a century, these hearts are carved from seasoned woods, including teak. Traditionally used to print on textiles, they can also be used for printing on paper, walls, ceramics, soaps and candles. They make wonderful decorative elements. 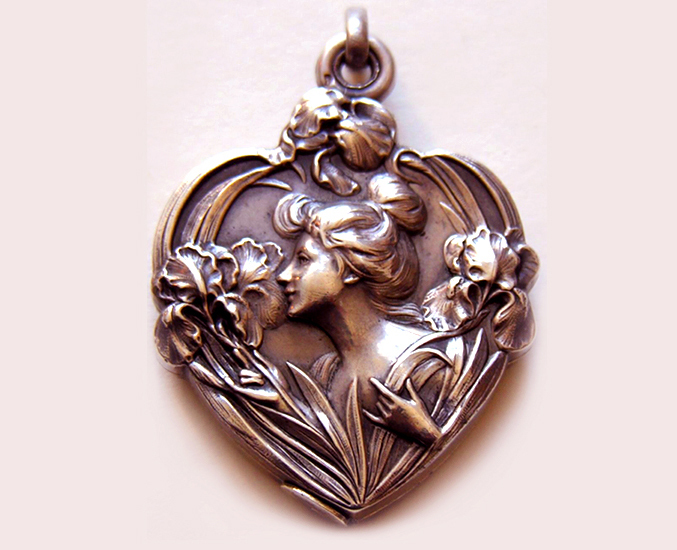 RED ROBIN ANTIQUES French Art Nouveau Silver Heart Slide Locket ♥ This turn-of-the-century heart-shaped Art Nouveau slide locket is adorned with irises, which symbolize messages of divinity, including Divine Love. The sensual curves were in part a metaphor for creative freedom. There are few styles more romantic. Stay tuned for a Valentine's Day 2014 feature exploring the Symbol and Sentiment of Victorian Heart Lockets, by expert Robin Allison of Red Robin Antiques, who has an impressive collection. 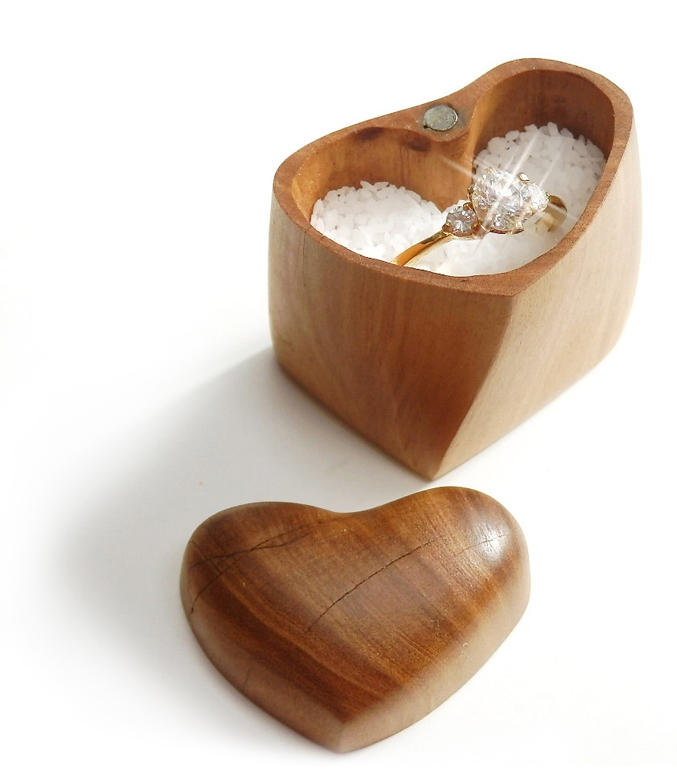 JEANIE DESIGNS Salvaged Olive Wood Heart Shaped Ring Box ♥ Plan on popping the big question? This gorgeous, hand-crafted sculptural heart shaped box makes for the perfect romantic engagement ring presentation. Heirloom quality, custom created from re-purposed olive wood, the box has been polished to a sheen with a hand-formulated pure, natural and Vegan tung oil and citrus finish. 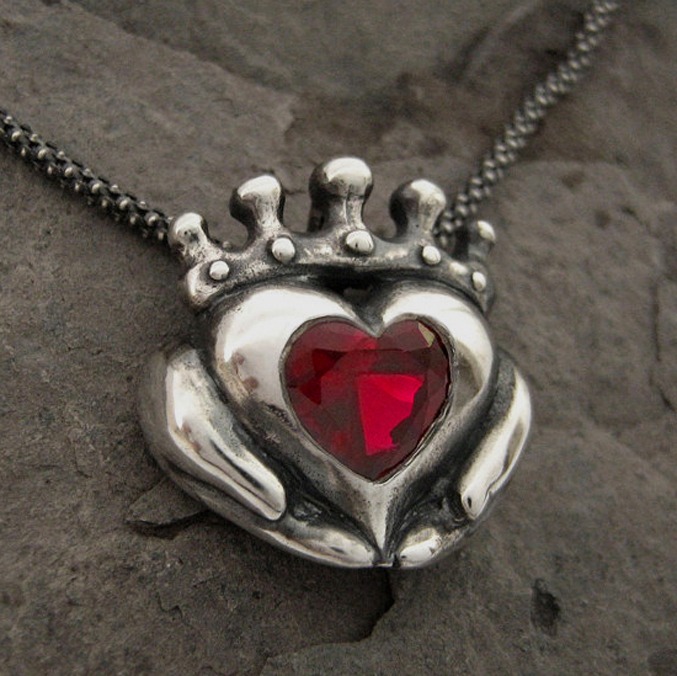 RICKSON JEWELRY Claddagh with Personalized Big Heart Stone ♥ This is modern interpretation of a traditional Irish symbol from the saying, “The hands are there for friendship, the heart is there for love. For loyalty throughout the year, the crown is raised above.” Set in sterling silver or gold, and you can choose your own heart stone color. 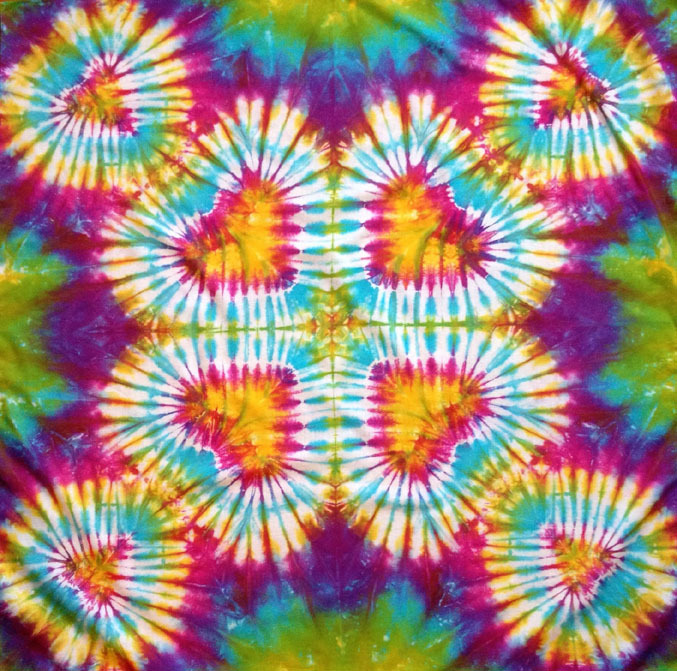 TASH SEBASTIAN Rainbow Sweet Heart Mandala Tie Dye Tapestry ♥ Tie-dye speaks words like “love” and “freedom”. 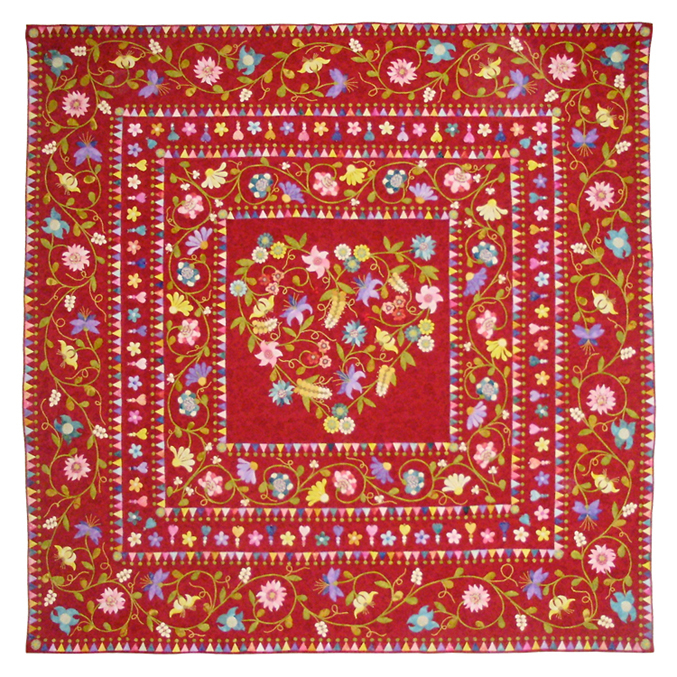 This groovy, one-of-a-kind cotton tapestry was folded, tied and dyed in the artist’s studio. She also takes custom orders. 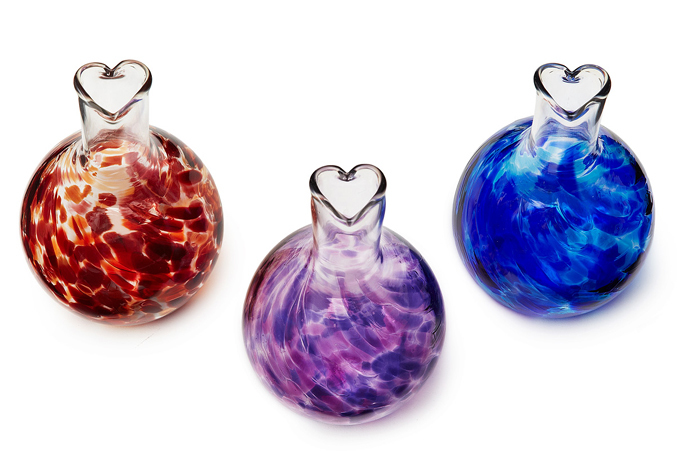 HENRIETTA GLASS Hand-blown Circle of Friends Heart Bud Vase ♥ Glassblower Jill Henrietta Davis carefully molds the end of every vase stem into a heart shape. Glass is one of the most earth-friendly materials, and glassblowing is such a fascinating craft. HENNA BY HEATHER Artistic Adornment Signature Henna Kit, $25 ♥ With this kit, and her fascinating How to Henna videos on YouTube, master henna artist Heather Caunt-Nulton provides everything you need to create the body adornment widely known as “Henna” or “Mehndi”. 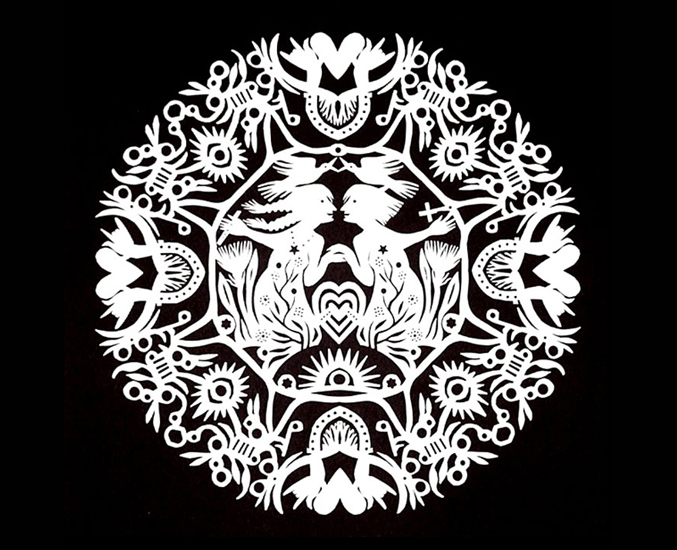 EMERLYE ARTS Handcut Kirigami Paper Heart ♥ Cynthia Emerlye creates hearts and other designs using kirgami, the Japanese art of finely folded and cut paper patterns. She is happy to take custom orders. 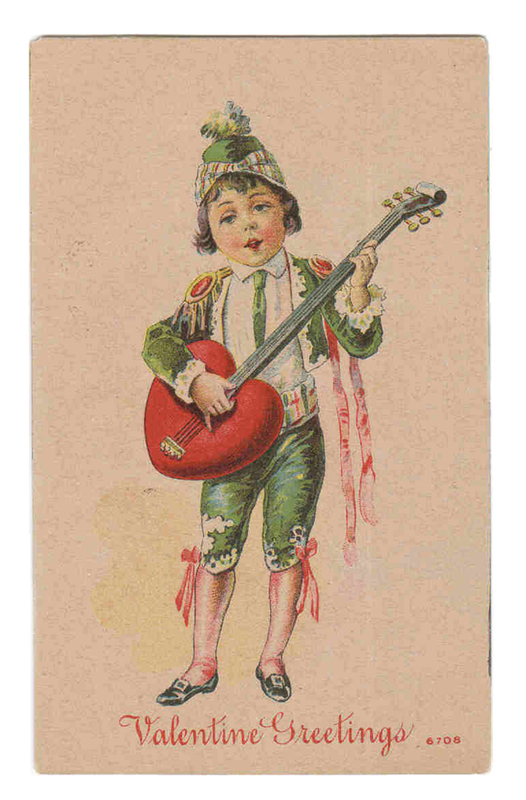 THE POSTCARD DEPOT Antique Heart Guitar Troubadour Valentine Day Postcard ♥ “If music be the food of love, play on.” This delightful antique Valentine's Day postcard and gift for the music lover or musician in your life. It was never posted so has no postage stamp and is in very good collectable condition with just enough corner wear to add the antique appeal. Framed well, this would make a great little decorative piece and you’ll never find another one like it. This store has an excellent selection of fine vintage and antique postcards (only) which makes it fun for any occasion, not just Valentine’s Day.